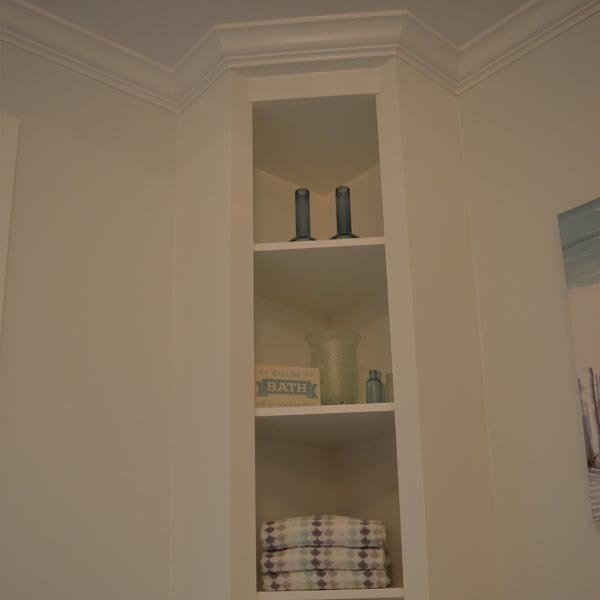 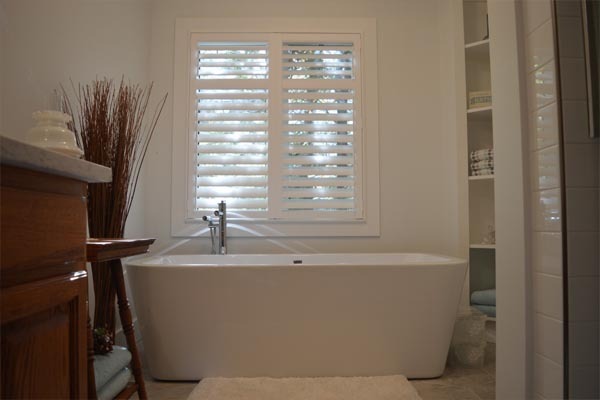 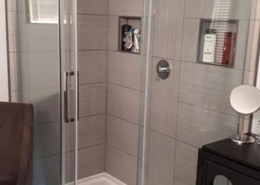 An amazing bathroom transformation from BLAND to Bold! 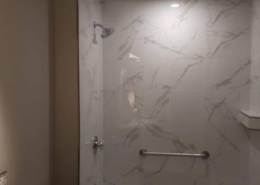 This new stress free room was designed with some relaxing features like a freestanding acrylic high gloss tub with a floor-mount tub filler. 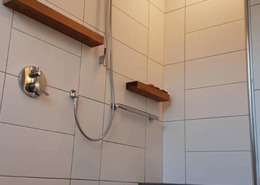 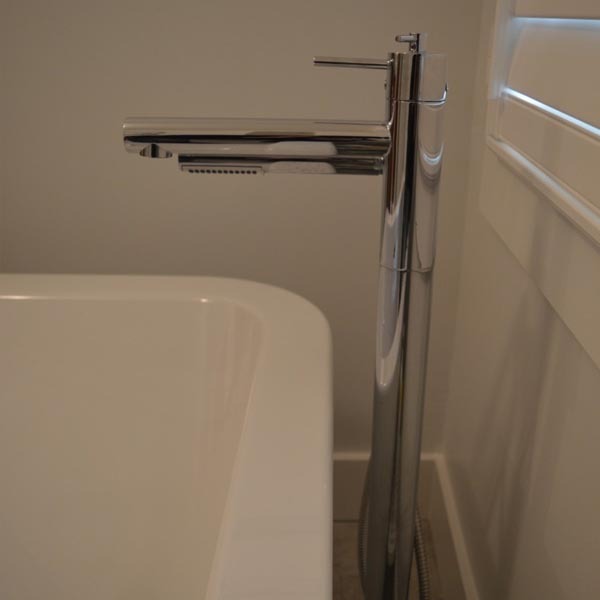 One common con for a women with freestanding tubs is the limitations of washing your hair, with this faucet comes attached a hand held shower. 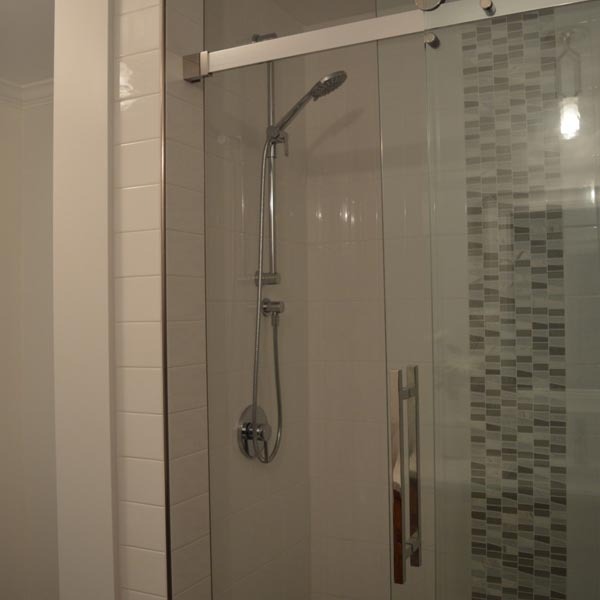 Riobel faucets were used throughout the bathroom. 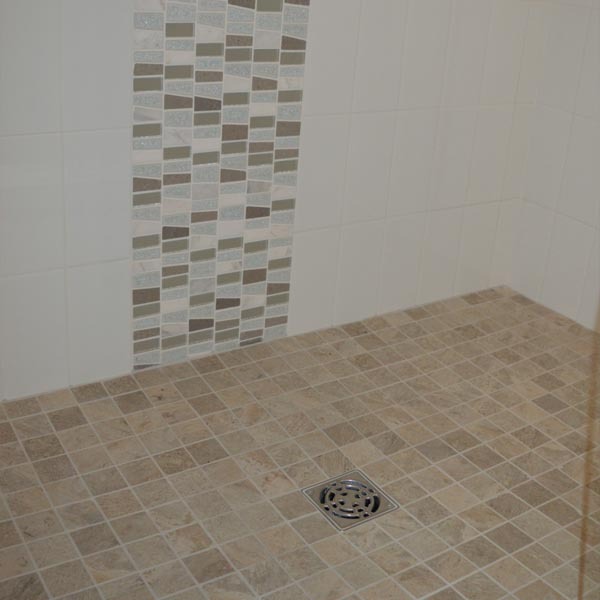 A custom shower was designed using a Terrazzo mosaic tile and a beautiful accent strip to enhance the colors. 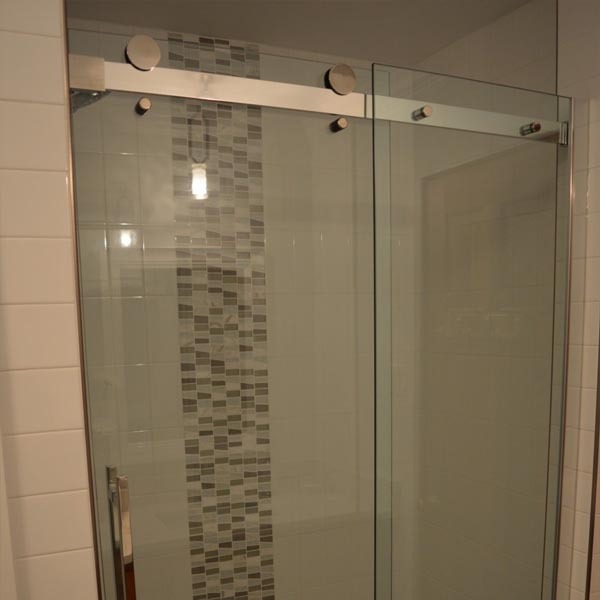 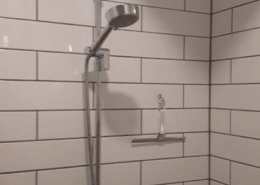 A Fleurco glass shower door was installed with chrome finishes. 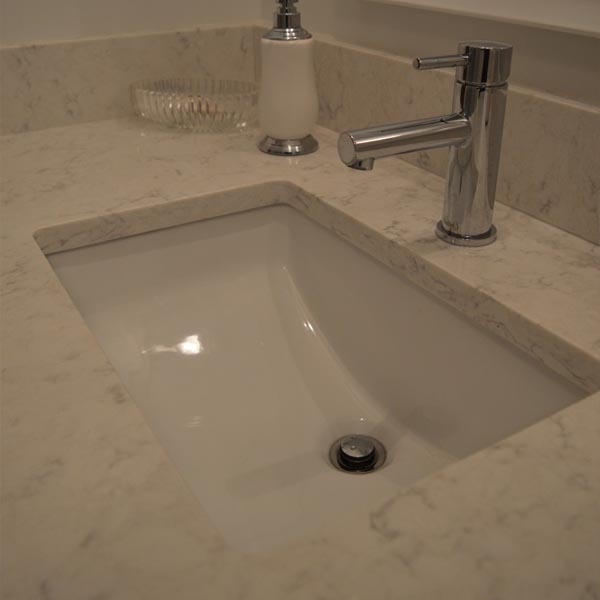 This bathroom shines bright with a beautiful granite countertop and a mo dern Riobel single hole faucet. 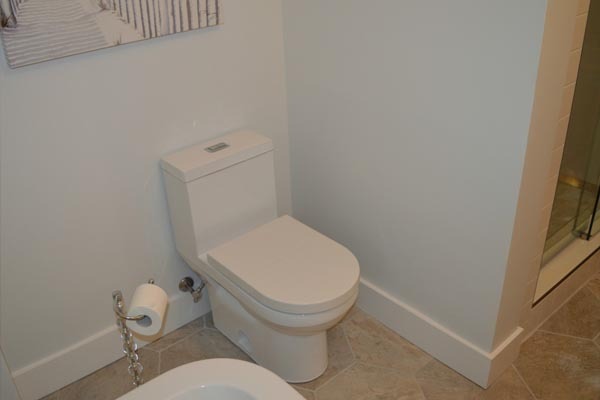 Discrete to the eye, a one-piece toilet with dual flush-mode system was installed. 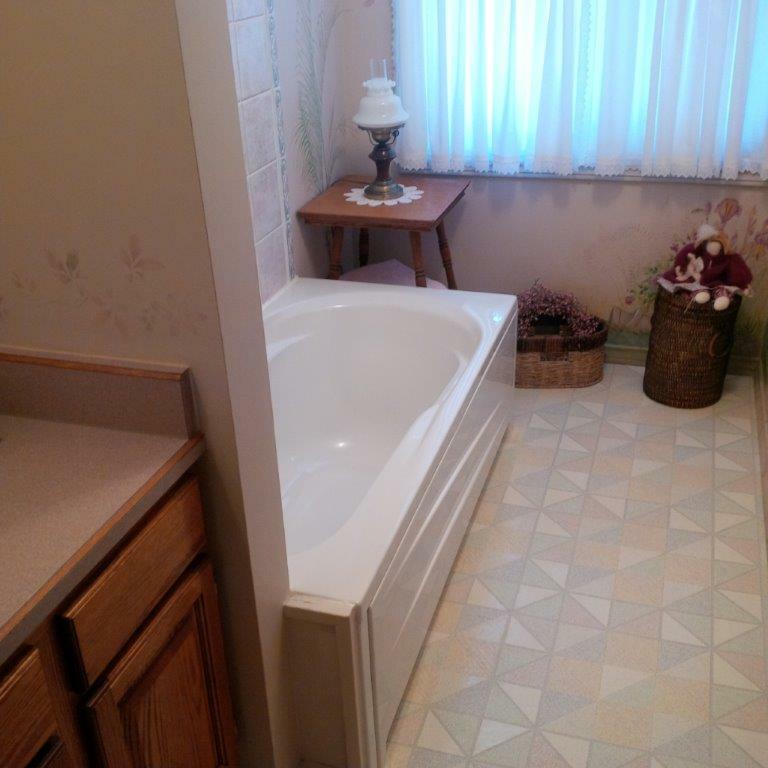 Keeping with the modern spa look of the bathroom.